dirty fingernails, ragged clothes and oily hair. But when she runs into him, the concrete wall she’s erected around herself threatens to crumble, and she can’t let that happen--if she wants to survive and get back the only thing that's ever mattered to her. My name is Susan, but you’ll find my books under my author name, S.B. Alexander. I’m a bestselling romance author. My books are filled with stories that tug at your heart, and are filled with romance, drama, action and suspense. As much as I love to write, I also love to read. Some of my favorite authors growing up were Stephen King and Edgar Allen Poe. I still enjoy reading Stephen King. 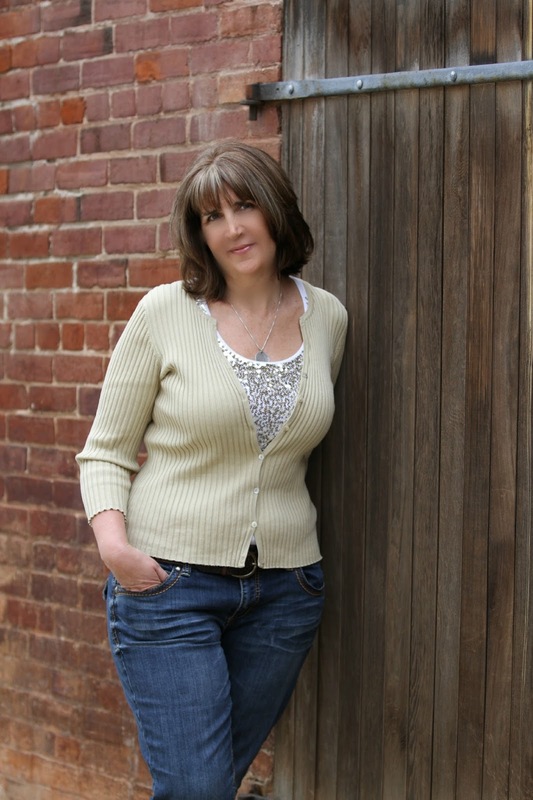 In fact, I love most genres, although in the past three years I gravitated toward the paranormal genre, which is when I started my journey to write my first book. A lot of what I’ve learned along the way is to write what you love to read. So, that’s what I did. My very first book I published was On the Edge of Humanity. It’s a story about a teenage girl who discovers that she carries a vampire gene. 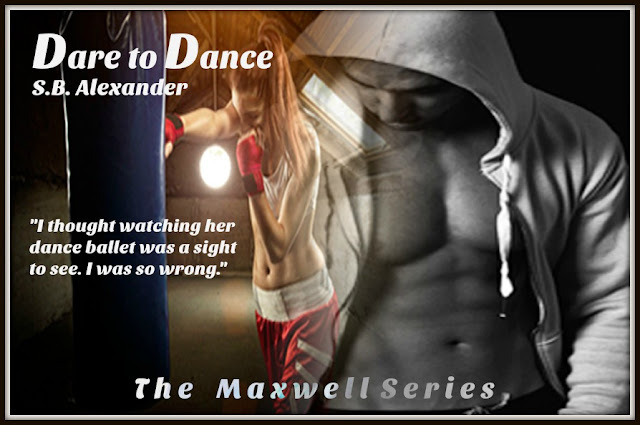 Since then, I’ve also found and fell in love with the New Adult Romance genre, which led me to the birth of the Maxwell Series. Aside from writing, I am a huge sports fan, in particular, baseball. Since I hail from New England, I love the Red Sox. I’m a former navy veteran and math teacher. However, I’ve spent the last twenty years in technical sales within the water treatment industry. I’ve been happily married for eighteen years. My husband and I enjoy golf, traveling, our dog, Lucy, and watching movies. We love the Northern California weather, which is perfect to play golf anytime of the year. *I received a complimentary copy of this book in exchange for an honest review. "Dare to Dance" is the fourth installment in the Maxwell Series by S. B. Alexander. 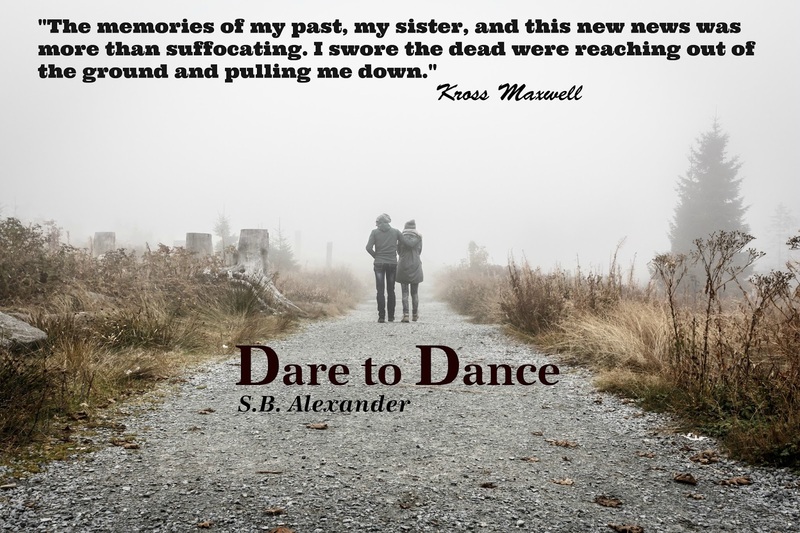 I have had read and reviewed each book in this series and have yet to be disappointed in Alexander's writing style and the way she spins a tale. The dialogue is smart and runs a full range of emotions. Each of the Maxwell brothers is a unique entity that has the common thread of family above all else and Kross is no different than his brothers in this respect. Ruby is the one he walked away from only find a few years later she is not so far away. When Ruby reemerges in his life his focus is shot and nothing short of figuring her out will bring him back in line. 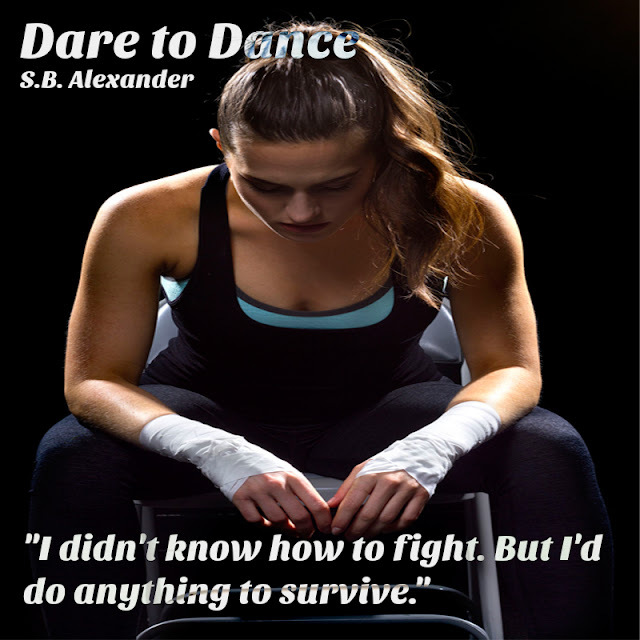 While I have enjoyed each of the books in this series, "Dare to Dance" fell just a bit flat for me. It was a good read that was true to the previous stories and the authors style, but it was a bit too much like the previous book for my taste. If reading this book as a stand alone and not as a part o the series it is a new and fresh experience that should not be missed. If reading as part of the series be prepared that while this is a good story with witty banter and interesting characters, this story will not offer any great surprises. I still highly recommend "Dare to Dance" and look forward to more of Alexander's work.